To create easy access to well labelled resources in order to facilitate independent learning. Are you worried about your child’s maths! You are invited to ‘My Maths’ workshop for parents. If you are worried about your child’s maths and would like to learn ways to help support them, then please come to our parent workshop, all parents of pupils are welcome. 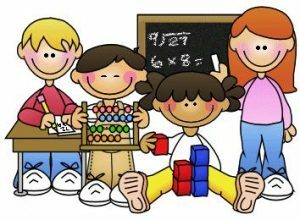 A good website that was shared with parents is the MATHS AT HOME Website. To view go to http://mathsathome.lgfl.org.uk/ Click on ‘Let’s Get Started’ Then select Year group. All children have access to mymaths at home. Children are encouraged to do the lesson that is linked to their homework. They can also do maths on any area that they want by using the search facility. Do let them share their scores with you. 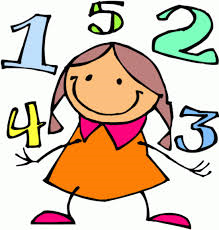 Arithmetic is essential to developing children’s pace and understanding in maths. Parents are encouraged to learn key calculation facts with their children and these are provided for each half term below. Here are a few pictures of our children hard at work in maths lessons throughout the school and around the grounds. For a larger view, please click on the thumbnails below.